Several years ago we became fascinated with the potential of adipose stem cells for both cosmetic and medical purposes. However, we soon discovered that nothing in the written FDA guidelines specifically addressed the use of autologous adipose stem cells. Thus began our journey for an answer. In June 2009, we sent a letter to the FDA asking for a position statement on adipose stem cells. Our request focused specifically on autologous, freshly isolated, adipose stem cells for use in soft tissue reconstruction. These stem cells are from your own fat, for your own usage, and not culture expanded. After a very long wait, we recently received a written response from the FDA. First, a little bit of background for any stem cell newbies…. There are three general categories of stem cells: embryonic, induced pluripotent (IPS), and adult stem cells. Stem cell treatments are either autologous or allogeneic. Autologous treatments use your own cells and allogeneic treatments use stem cells from donors. Adult autologous stem cells have a higher safety profile than both embryonic and IPS cells. Over three thousand clinical trials have taken place worldwide with adult stem cells. The adult stem cells in adipose tissue are mesenchymal cells (MSC’s), which are one of the cell types largely responsible for the healing properties of stem cell therapies. Compared to other adult stem cell tissue sources, adipose stem cells contain the highest number of healing mesenchymal stem cells (MSCs) per volume of tissue, by a factor of 500 fold. Due to their ease of extraction and highly abundant supply of MSCs, adipose stem cells hold great promise for stem cell therapy. Adipose stem cells are derived from fat, which is commonly collected via a liposuction procedure. There are various techniques used to isolate adipose stem cells, but they are generally classified as either freshly isolated or culture expanded. The typical method to freshly isolate adipose stem cells combines fat with collagenase to make a stromal vascular fraction (SVF). The process to obtain SVF can be done in a few hours. Culture expansion is used to multiply the number of stem cells and takes days or weeks in a lab. SVF is a mixed population of cells containing a high proportion of MSC’s. Culture expanded refers to an SVF population of cells that has been allowed to grow and multiply under specific laboratory conditions. This results in a homogeneous population of MSC’s. Human cells and tissues intended for human transplant are regulated by the FDA. The FDA maintains two levels of classifications for cells and tissues: 1) HCT/P 361 and 2) HCT/P 351.
uncultured stem cells from my own fat…. a tissue or a drug? Category 361 is summarized as a ’tissue’ . A subset of category 361 includes procedures that take place in the same operative session . These same session operative procedures are exempt from FDA regulation. These procedures fall under the jurisdiction of practice of medicine. Surgeons follow guidelines and laws established by state medical boards and their professional societies, but are not controlled by the FDA. The other category, 351, is the ‘drug/biologic’ category, which is completely regulated by the FDA. It is infinitely easier and faster to bring medical procedures which fall under 361 guidelines to a physician’s practice compared to the 351 category. Our request simply asked the FDA if SVF (not culture expanded) adipose stem cells for autologous usage in soft tissue reconstruction in the same operative session fall under the tissue or the drug classification. Last month we finally received a response from the FDA. Close your eyes and imagine a train coming to a screeching halt. It was not the answer we were hoping for. Your own autologous adipose stem cells from the stromal vascular fraction (SVF) used for reconstruction and repair in the same operative session are considered by the FDA to be a DRUG. Is the FDA being consistent? What is interesting to us is that hematopoeitic stem cells and IVF procedures are both not classified as drugs, but uncultured fat stem cells are. The FDA’s main consideration for classifying adipose stem cells as a drug was because the cells are more than minimally manipulated. So what about IVF procedures? Is creating a human from a sperm and an egg only a “minimal manipulation”? What implications does this FDA letter have? In the arms race for adipose stem cells, the power will shift to the device makers specializing in processing adipose tissue. The new FDA position means that any surgeon who wishes to use the SVF fraction (centrifuged adipose tissue plus collagenase to yield higher numbers of stem cells) must now submit an IND (Investigational New Drug Application) to the FDA and have an approved IRB (Institutional Review Board) with a hospital. This submittal process is extremely time consuming, requires many resources, and is expensive. Some surgeons will simply move their trials, therapies, and clinics offshore. This FDA position essentially takes surgeons performing manual processing with collagenase in their OR’s out of the physician practice equation for the near future. Therefore, this FDA position likely benefits adipose stem cell device makers who process adipose tissue as they are much further along in the approval process with the FDA. Device makers will likely be first to market with their autologous stem cell processes. Does this FDA position affect plastic surgeons currently performing high density fat grafting? No. But it is not out of the question that the FDA may put fat grafting under the magnifying glass in the future. Fat grafting uses fat obtained from liposuction. The fat is harvested with a cannula, decanted, and processed via centrifugation techniques. A portion of the processed fat is then reinjected into areas for cosmetic enhancement. The enhancements primarily involve restoring volume and fullness. Although fat grafting does not use collagenese to isolate the stem cells, the dirty little secret is that high density fat grafting does contain small numbers of stem cells. 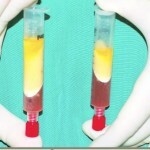 These stem cells are found in the ‘fat pellet’ separated via centrifugation after the tumescent liposuction procedure. The mechanical forces of the liposuction procedure act to separate the mesenchymal stem cells from the blood vessels. This is all within the great science of stem cell activation. Plastic surgeons have recently come to understand that the small population of stem cells in the fat pellet provide more vascularity to fat grafts. High density fat grafting results in long lasting fat grafts and healthier looking skin. Thomas, the science is far outstripping the regulations and the patients are the ones who pay for it. Wheter it is adult stem cells, human embryonic stem cells or induced pluripotent stem cells. The imposed regulations have its ups and downs. The biggest of my concern, innovation stagnation. Haha, I actually litigated in the Federal Circuit, my own patent case, and beat a bunch of high priced hoo…. err, lawyers. They make mistakes, there are not infallible. Sometimes mistakes they make are so obvious it makes one cry for shame. They are lazy, when possible they will do the minimum to bounce the case back to trial courts. FDA does have another ‘situation’ to deal with. It may be heard in the Federal Circuit Court of Appeals. Stay tuned. By the way, what is the jurisdiction? Where is the Centeno court based? With respect to Prof Mary Chirba Martin’s letter, I am amazed how little technical people understand the mind of a bureaucrat. The FDA are not ashamed of their illogic and inconsistency. They can easily reconcile it in their minds just like lawyers will happily work for either side, depending on who pays the most. It would be helpful if the FDA had to defend multiple cases at the same time. As it stands right now, they are able to marshal all their resources to go against Chris Centeno. They should be pecked from multiple sides. Another point to make is that there is another product which has been approved by the FDA for non-surgical wound debridement (sp?). It is a collagenase ointment, trade name Santyl. In that case the use of collagenase is far more invasive and potentially more dangerous than ex vivo use to digest collagen. How can the FDA justify that it is OK to put collagenase into gaping wounds but it is NOT OK to use it in harvesting stem cells outside of a patient’s body? In the wound collagenase does exactly what it does to fat, it liquefies necrotic tissue by braking down collagen, enabling stem cells from the blood to aggregate in the wound to create granulation tissue and then to differentiate into different tissues. The FDA’s left hand does not know what the right is doing. It’s actually United States of America vs. Regenerative Sciences LLC. Mitchell Fuerst is the attorney and I have heard him speak on several occasions. He is incredible. I will look at the filings through PACER. Thank you for the exact name of the case. My concern, however, about the case that it will be limited to the bone marrow progenitor cells, and exclude the adipose derived cells. There is already an FDA approved process to harvest bone marrow cells from peripheral blood, cells that have been mobilized into the blood stream by G-CSF (Neupogen or Filgrastim). The Centeno process harvesting the actual bone marrow is outdated. It is painful and unnecessary. The issue is not their specific method of stem cell harvesting but rather a constitutional issue of my right to my own body. Women can exercise their right to their bodies with their reproductive choices. Under the equal protection clause I should be able to use my own cells within my own body. Dr. Chris Centeno is currently taking the FDA on. He has been in back and forth court filings with the FDA for a few years. His lawsuit will be a landmark case regarding the use of your own stem cells. Dr. Centeno was using autologous ,culture expanded bone marrow stem cells to heal orthopedic injuries. The FDA, as an organization, essentially has a life of its own, and money is its life force. The individual cogs who work there may naively believe that what they do is above reproach because, well, they “mean well.” The beast as a whole, however, does not care about the little cogs. Like in the “Little Shop of Horrors” the machine only says “Feed me, feed me!” The FDA already is overwhelmed with applications for approvals of new drugs and medical devices, why would they want to take on a whole new area of regenerative medicine? Because it gives them a perfect excuse to run to congress and beg for more money. They hope that out of necessity doctors who cannot practice best medical care and desperate patients will put pressure on congress to loosen up the money flow. The only other government agency that is also so hopelessly out of its depth is the patent office. Except the patent office is happy to allow the Federal Courts to figure out who is right or wrong. The FDA has to be taken on in the courts. A federal judge can order FDA officials to testify about their decision making and the basis for making illogical and unscientific conclusions. Just the embarrassment during the discovery alone would make things uncomfortable for them. A good lawyer can make them sweat in a deposition. I bet there are attorneys out there who have a personal need, either themselves or their loved ones for the new regenerative technologies and the FDA is the only stumbling block. Put a call out to attorneys to take the FDA head on, I am sure there are some who will take the case pro bono to make a name for themselves. The FDA has pursued its own rationale to an illogical conclusion that even laypeople totally unfamiliar with the issues recognize as being out of kilter. I recognize that the FDA is being conscientious and concerned about patient safety, but the rationale is not working out. It’s difficult to fathom the FDA letter. All those many-numbered regulations and licenses are simply mind boggling. I wonder what the FDA would have to say about the cellular goings-on in the common act of human procreation? Would that pass the minimal manipulation sniff test? What about all those hormones and other chemicals that facilitate the deed? Perhaps we are all children of criminals who had the audacity to practice cellular medicine without a license? With this reasoning, the FDA has opened a can of worms. In the final analysis, all body functions are mediated by chemical messengers. Thus by this reasoning the FDA has control over any surgical intervention by any physician because ultimately, everything we do unleashes chemicals that force other cells to react. Please, write to your congressman. If enough people do, then they get their staffers on it, and then it gathers momentum. The FDA has been promoted beyond its competence. I’d like to think that political action might help, but politician’s also seem to be in a mess that is piled far over their heads. If you are familiar with Dr. Centeno’s case, you would likely know the history of the wording changes to the tissue regs in 2006. They substituted the word ‘a’ for the word ‘another’ in the classification tier for tissues . This single word change therefore collapsed the categories of autologous and allogenic tissues together. IMO, this is a huge part of the problem we are facing now. Autologous tissue should be treated as a separate category in the HCT/P classifications. Autologous tissue does not carry the same risk that allogenic tissues or biologics have. Autologous tissue does not promote commutable disease, nor are there rejection issues. Therapies with autologous stem cells clearly carry less risk to the health care system than their allogenic tissue counterparts. This fact should be distinguished in the regs. No truer words were spoken. This simple maxim which used to be in currency in the days of ideological battles against Marxism needs to be resurrected. Young people nowadays are convinced good intentions are enough. They never are enough, and as a matter of fact the greatest evils have been perpetrated in the name of a higher good. Oh, a couple more things. No one said the FDA means to do “harm.” They do harm the same way a village idiot does harm by bashing someone’s head in be prevent a bee sting. They do harm simply because they just do not care, they have their comfortable (government employee forever) jobs and they don’t want to rock the boat. The less they do the less the possibility they can be answerable for anything. Most people are like that, they thrive in their own mediocrity. Medicine was not moved forward by any government, ever! There was never a medical Manhattan project, or the Marshal plan; it was always a sole pioneer who bucked the trend. If the FDA was created a lot earlier we still would be using “bleeding, to release bad spirits,” patients for all their ailments. Da Vinci I believe stole corpses (in definance of the Church) to advance his medical knowledge. His lucked out the FDA was not around. Did congress mandate that the FDA put every new medical advance through the wringer that costs half a billion dollars? I don’t think so. The current system locks out any possible innovation by sole medical practice or even small companies. Only multi-nationals can possibly afford the bill. And when they spend that kind of money, there is always an incentive to fudge the results and fight like hell to keep every one else out. Some people seem to believe that this is simply a poor decision by the FDA, I think the system itself is hopelessly flawed and this latest decision is just a symptom of just how broken it is. Nobody gives a damn about the FDA’s intentions, road to hell is paved with good intentions. This is a complex issue with many subtle semantic diversions. The basic problem is that the FDA is internally consistent in their argument that stem cells are acting like a drug, which they are. Our contention is that in the case of autologous tissue they have no jurisdiction. This matter will have to be resolved legislatively. Thanks for the response. I now realize I carelessly misread the letter. In my mind I was thinking ADRCs not adipose tissue. I get it now. They did make a call out for comments several months ago which I heard of only by chance. A lot of us responded, but my feeling is nothing we said would change their minds. It will take political action to overrule the FDA. Dr. Rodriguez, it is not my pain you are feeling, it is anger about various busybodies interfering in my business. It is not the place of doctors to make life and death decisions for patients (and every healthcare decision is “life and death” in the end), their role is to be subject matter experts (and it is certainly not FDA’s business). I don’t really care that at some point in time some other unrelated therapies like gene therapy caused problems. Neither do I care that Embryonic Stem Cell at some point in time caused problems. The point which needs to be addressed and it is not being so, is that there is a wealth of research out there compiled over the past 10 years that adult stem cells are safe and more often than not very effective. Your defense of the FDA is misplaced. This is the same defense that employees of companies use when they are doing something stupid or illegal (my boss told me to do it.) In the FDA’s case it is worse because congress tasked them with making intelligent, fact-based decisions not to retard progress to simply CYA. You are looking for a new directive from Congress? Yeah, hundreds of lawyers will drop their vacations and their golf and their bickering to study the new brave World of stem cells and make an intelligent decision. Yeah, they will study up on the nuances of adult stem cells versus embryonic stem cells and will carefully weigh all the facts. You see how ridiculous this sounds? The reason the FDA exists is to allegedly make informed decisions about health care issues so that all the fat, happy lawyers in congress do not have to. Before making this last insipid decision about the aMSCs, I did not hear anything about the FDA calling in subject matter experts who are actually working in the field. How many people, do you think, work at the FDA, who were actually ever involved either in clinical research or use of adult stem cells? I would be surprised if there is even one. How are the adipose derived MSCs different (from a regulatory point of view) from the peripheral blood derived stem cells? They are not. I can have half a billion stem stem cells harvested after a few subQ injections of Neupogen(R) and 4 hours of apheresis. Would you consider that my stem cells collected from peripheral blood are more than minimally manipulated? Your position that harvesting stem cells from adipose tissue is more than minimal manipulation is an exercise in semantics. What exactly is “minimally manipulated?” In my view, there is no manipulation at all as the nature of the stem cells is not altered, only their environment. After being harvested they do exactly what they are programmed to do, nothing less, nothing more. This is what is so attractive about the therapies, mother nature has already solved all the problems that big pharma is trying to solve by throwing billions at it. It was a big mistake to goad the FDA into taking a stance on this issue. Before they made some veiled threats against the Centeno folk, got sued, and everything was held in stasis. But at least treatments continued. Now the FDA will start fighting to protect their turf. Wow, you sound like an extrovert. I do not agree with the FDA. But I do not think they are incompetent or have intent to harm. Rather, they have been given a task. To make sure products are safe. Not to see if products work, not to make a sober assessment of risk versus reward. The problem with the whole biologics category came in the 90’s with gene therapy. There was a famous clinical trial where a child developed multiple tumors. there were other instances of radical unforeseen effects of gene therapy and interferons, which were therapies that came from within your own body. That is when the FDA changed the purview of authority from tissues taken from one individual to be administered to another individual to tissues taken from ANY individual, of course that includes autologous tissue. It was a case of bad regulation in response to a bad incident. Be that as it may, as far as stem cells, the FDA has taken the position of “First do no harm”. The real problem is not the FDA, which is performing its task, but of the legislators who will not give a new directive to the FDA. It is all political, as the mother of all tissue interventions- In Vitro Fertilization, is given a football field sized pass. With IVF you take tissue from another individual (sperm), do a massive manipulation of the nature of the recipient cell (the ova), and implant it back into the patient or into a third party (surrogate mother) where the resultant embryo virtually takes over the hormonal system of the mother or surrogate. This has its own set of risks (pregnancy risks) which is not insignificant. So much for minimal manipulation, or not changing the character of the cell, or not acting like a drug. The battle for this will have to be fought at the political level. Who owns the risk for your body? If the new healthcare directive can force you to buy medical insurance, it can also force you to submit your health risk profile. Dr. Rodriguez, perhaps you did not mean to attribute this relatively benign description to the FDA’s activities “Nobody will be harmed, but how many that could have benefited won’t get the chance?” People are being harmed every day, by the FDA’s refusal to approve treatments which have been proven safe and effective in countries which are often more advanced than the U.S., in various medical areas. Patients who are terminal obviously are harmed, when their doctors are scared to treat them because FDA may bring a legal action against them, because they die. Their families are harmed as well. Patients who are not terminal are harmed because they lead miserable, painful lives, sometimes unable to hold jobs, sometimes unable to have a normal social life. The FDA is acting as if everyone is immortal and have the luxury of waiting indefinitely for the FDA blessed treatments. I for one am sick and tired of this nanny state with incompetent FDA apparatchiks making decisions what I can or cannot do with my own body. When did I become the ward of the state? Every time the FDA forces 3-10 years approval process on a product that is already in wide use abroad it harms everyone. It harms patients, it harms doctors, it harms the taxpayers who have to pay the FDA’s lavish pension, and luxury health benefits, and ridiculous salaries. The FDA inaction and incompetence also costs the U.S. economy billions if not trillions wasted on extra remedial health care because they refuse to approve more effective treatments. The answer is that separating stem cells from adipose tissue DOES alter the relative characteristics of adipose tissue. That is why we want to use stem cells. Otherwise, we would just use unprocessed adipose tissue. The FDA contention is that because the stem cells do things other than adipose tissue does, they are a drug. And because they act like a “drug”, the FDA has jurisdiction over them. By this rationale, the FDA now controls any procedure that affects exchange of messaging chemicals (cytokines), or hormones in your own body. That is, you and your Doctor cannot make any decision regarding your care if it involves using any tissue of yours that acts by releasing chemicals that affect the behavior of your other cells. According to the FDA rationale, if I want to use your own stem cells to treat you, I will need to go through a lengthy and costly process of many years duration providing results of many studies before they decide wether the therapy is safe and effective. Implicit in this is that your conception of what constitutes acceptable risk for yourself now counts for nothing. Somebody at the FDA will now decide what you can use your own stem cells for. Imagine if the same applied for investing your own money. There is an appropriate role for regulators when investing other people’s money. However, it is quite another when you are not allowed to spend your own money on yourself unless the Federal Government decides it’s OK. There are always tradeoffs between safety and risk. The FDA has taken a very risk averse strategy. Nobody will be harmed, but how many that could have benefited won’t get the chance? I do not blame the FDA, it is their role to protect the consumer. But at some point we have to wonder if it is the role of government to protect one from oneself. Is it possible that you just needed to do more to get the FDA’s approval? Do you feel you properly addressed this point in your request? Did you ask the FDA specifically what they are looking for? Anybody reading this blog would do well to visit Mr. Kuiter’s blog. I NEVER refer people to other blogs, because it would invite a flood of spammers, but here it goes. GO TO https://cell-treatment.net/, you’ll love it! First, excellent article-thank you. And of course, very sobering, but not surprising that the FDA takes this stance. Obviously no consistency in the regulatory process can be found, the more important will be the Centeno case coming up with arguments, which should allow limited culturing of marrow cells. As most know- fat derived MSCs have the funny habit of not promoting bone growth very well, although they can do so many other wonderful things. Its clear the ART and PRP procedures that the FDA doesnt regulate, are much more minipulative than getting stem cells out of adipose tissue, so the inconsistency is clear, but it surely is like Dr. Rodriguez states- the FDA is the watchdog i.e. police force for that gigantic health care industry with its pills, surgery and radiation – BIG PHARMA. Never will they allow a non-invasive cell treatment before 500 Mio minimum is spent to get their OK. I disagree however that the fat extraction device makers are ahead- they are getting their bloody nose, just like the practioners and I dont think the achievements across the globe will be recognizd by the FDA. The US patient of course is a different human species compared to their counterpart in Europe and elsewhere. Cynical button now switched off. I think a class action suit is in order, with both doctors and patients joining forces to fight the FDA’s meddling in our bodies, our lives, invading our privacy and doctor-patient relationships. Somebody has to beat some sense into them. FDA is nothing is now nothing more than a bloated bureaucracy living off the symbiotic relationship with the large pharmaceuticals. The big pharma agrees to play ball with the idiotic FDA approval process, justifying FDA’s existence, and the FDA as a payment protects the big pharma’s profits. FDA is totally out of control. I had a phone conversation with an FDA person who was supposedly tasked with overseeing application of autologous stem cells with respect to neurological conditions like CNS injury. This guy who called me back was completely ignorant of any stem cell developments, was completely ignorant of any neurological issues. He told me that he was a pharmacist by training (not even a MEDICAL DOCTOR or medical reseacher) and the only support he had for his insane position was that he spent decades at FDA dictating to patients what they can or cannot do with their own bodies. If life of a mother is in danger a late term abortions can be performed but patients are not allowed to make informed decisions about use of their own tissues to treat themselves. FDA is a great example of yet another “good intention” gone very wrong. It years, sometimes decades, for FDA to approve anything while people die or live in pain. Congress must clip FDA’s wings and tell them NOT to stick their tax-grabbing ignorant noses into the business of doctoring. Ironically, the right wing Christianist Republicans as well as fundamentalist christians are actually very much in favor of using adult stem cells, because using adult stem cells avoids the need to harvest embryos. The big pharmacologic industries and a lot of academic physicians want to put the brakes on adult stem cells because of their sizable investment in embryonic stem cell research and induced pluripotential cells that come from another person. They like this because they can sell a patented product stem cell (“Stem Cells in a Bottle”), but they can’t sell you your own stem cells. The abortion activists are against adult stem cell research because they feel it takes research money away from embryonal stem cell research. Here’s something unexpected: One of the biggest investors in adult autologous stem cell research is the Vatican. The FDA must be educated by the idiots on Fox Channel and the the backward medieval right wing Christianist Republicans.. They are on La la land drugs..We should fire all those wanking bastards! Wow, who is controlling the FDA lately with $, I wonder? U.S. surgeons and physicians need this autologous stem cell therapy to treat heart patients, breast reconstruction post mastectomy/lumpectomy, and so on. I do not comprehend how my own tissue, fat, stem cells and the multiplication of my own stem cells can be under the control of any person other than myself and my physician. We need to provide the income to our own health care professionals here on these shores, and have insurance cover these procedures, as well, right here at home. To go offshore means costs are too high for most patients, and our qualified doctors, who so want to help us, s are losing this opportunity.